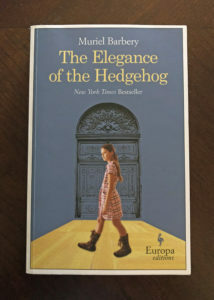 Smart is the best word I can come up with to describe Muriel Barbery’s The Elegance of the Hedgehog – however, funny and insightful aren’t too far behind. And, I’m realizing I don’t have an intro for this review that does this book justice, so here it is. Set in present day Paris, The Elegance of the Hedgehog is about two females – one pre-teen and another middle-aged – who are both trying very hard to appear on the outside what on the inside they are not. 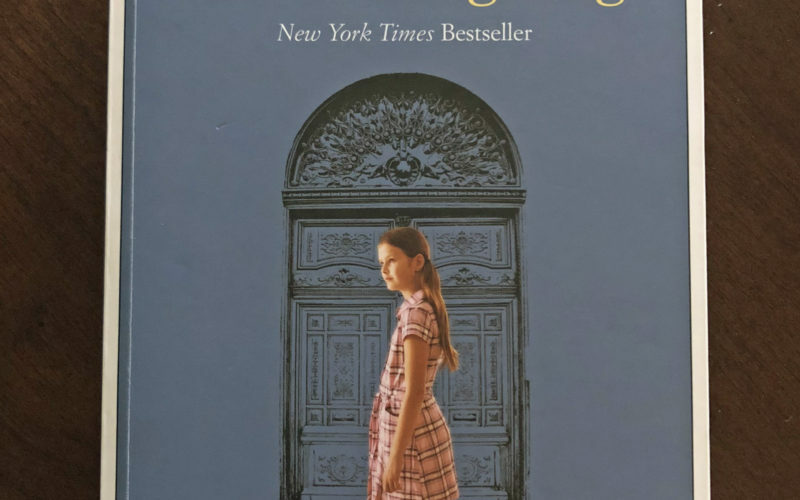 Paloma, a precocious 12 year-old, lives in an upscale Parisian apartment building with her socialist-diplomat father, psychoanalysis-addicted mother, and dim-witted bohemian sister. She has figured out that life as an adult is not worth living, that all teenagers want is to get to adulthood, and therefore, she plans to commit suicide on her 13th birthday. In addition, she feels being an intellectual is overrated, so she tries very hard not to appear as smart as she is so as to not elevate expectations. Renee, the middle-aged concierge for the apartment building is also keenly aware of expectations. For example, as a concierge, her tenets do not expect her to read Tolstoy or appreciate Dutch Renaissance art, and so she also does her best to appear to be as common as her neighbors think she is. Alternating between these two narrators, this novel is – in part – a satire of the wealthy bourgeoisie who toss around unintelligible phrases at dinner and murder the King’s English (oops, this is Paris) in notes to one another. In addition, it is a coming-of-age story – that is much more complex than a girl deciding not to kill herself. Paloma and Renee’s lives intersect when a wealthy Japanese man moves in and very quickly recognizes what the two have been hiding. The reviews of this book have been astounding. In fact, I read where one person said they didn’t want to read it because they hadn’t heard anyone say anything bad about it. So what could make a book so great? On the surface, the story deals with friendship, class and status, and while the themes are universal, I don’t think they are enough to earn such widespread favor. As I was reading, I was trying to figure out what is so appealing about this book, and I think I know at least in part: I think that most people (women at least) believe that they are smarter than the world sees them to be. And so, somewhere in Paloma’s and Renee’s attempt to hide themselves, readers relate to the constant inner-dialogue commentary that reveals an untapped potential. One disclaimer, it will have you reaching for your dictionary over and over and over. I can’t remember when I read a book that contained so many words I didn’t know. My mom and I were talking about this last night and wondering if this was due to its being a translation from French – perhaps the translator was being very particular to make sure every connotation was correct. And, I’ll echo other reviews I’ve read – the first 100 pages are not as enticing as the book is made out to be, but stick with it. It is well worth the read. P.S. In reading over my review, I’m struck by the irony of my relating to the wit of the characters while continually being reminded through the language that my vocabulary isn’t as polished as I thought. Hmmm…wonder if this is intentional? Need your help again… Please vote! Good! I recently purchased this book with some Amazon credits–glad to know it's a "keeper!" Yes, Bunny – This is just the sort of 'good read' you've been waiting for! I am even more excited to read this book now. Just waiting for a library copy to come available. All the reviews I've read of this book have been positive, but interestingly enough they all pull out something different to focus on in the review. Some reviews focus on Renee, some on the Japanese man, a few briefly on Paloma. This review has told me more about Paloma than any other. Why this might be the case with the reviews, I'll just have to see, I wonder if it's because Barbery did a really good job of fleshing out characters so there is no one dominant character or storyline? I'd be interested in your thoughts on this, Elisabeth & any other poster that reads this book. @Stacie – The book is pretty even regarding how much time it gives the voice of Paloma & Renee, but I'm not surprised that most reviews you've read focused on Renee. (That has to do with the ending – which I won't give away here.) But, as you say, the two characters are equally fleshed out. My copy is on your chair when you get into work on Tuesday. I saw this in the books shop a few months ago and really wanted to read it. I think your review has made it official, I am going to get a copy this week. @Lauren – You'll love it! I can't wait to read your review of it!